Yesterday, after i finished posting about Crown Prince of Dubai, i got rather an urgent craving for a delicious cupcake. Lately, cupcakes became all the rage in the U.S. I blame Sprinkles, original cupcakes only bakery, that elevated this simple treat to the level of ridiculous (but delicious) fanciness. Dubai has it's own version of Sprinkles, boutique bakery that only does cupcakes. It's called Kitsch Cupcakes and located on posh Jumeira Beach Road. I, personally, don't do fancy cupcakes. Mostly, because i bake my cupcakes for my kids and their little friends. And let me tell you, kids are not into hoity-toity stuff. Once i slaved all night baking delicious, low-fat swiss vanilla cuppy cakes with heavenly whipped cream topping, decorated with red hearts made with melted and cooled candy melts. Oh, and it was flavoured with rose water! They looked and smelled to die for! Unfortunately, none of the kids in my daughter class liked them. It was not sweet enough, hefty enough, regular enough for the little ones. So, now i just do simple vanilla or chocolate ones and top them with sweetest buttercream their young arteries can handle. But, boy, do i decorate them! I think it's the funnest part; however, you really should not go heavy-handed with sprinkles - a little of shimmering flakes or silver pearl dragees on pastel coloured cream goes long way. As i mentioned, i'm also a big fan of candy melts (or wafers), which can be melted in the microwave and then piped on the parchment paper as a beautiful flowers, or butterflies or whatever. 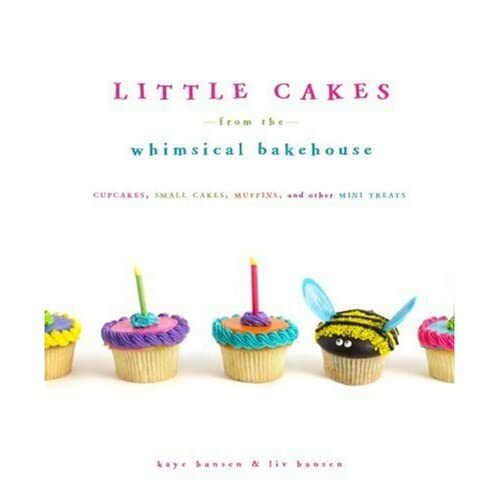 One of my fave books on all things baked and decorated is Whimsical BakeHouse book series by Liv and Kaye Hansen. Even if you don't bake, these are such wonderfully illustrated books that you might just want have a copy for your voyeuristic pleasure.